The Benefits of the Expat Life – Writer. Traveler. Tea Drinker. How funny it is writing this blog. So many thing I write one time and expect them to just kind of fade into the vault. But life isn’t like that and one of my former blog posts is rising from the dead to teach me a new lesson. Three years ago I wrote a post called The Expat Life of Constant Goodbyes. It was about my friend Anite who was leaving Xiamen. We had only been friends for 6-months and got along great before her job finished and she was off to France. She came back to Hong Kong a few months later on a short job-hunting stint (where I got to see her again), but unable to find something good she went back to France, this time for good. I haven’t seen her since. The latest casualty is my friend Anite. I met her a few months after I first arrived at frisbee. She and some of her other friends were the ones who invited me to archery, fun parties with homemade food and night hikes. 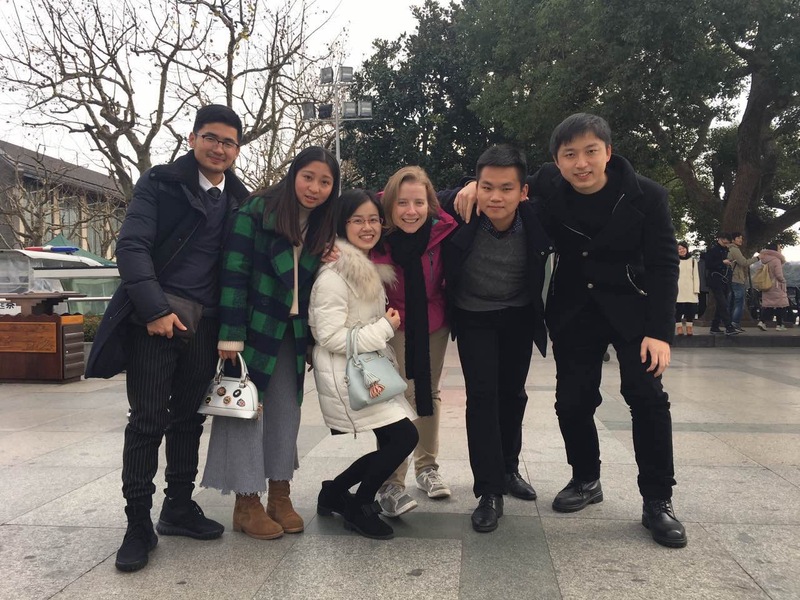 Since I started hanging out with her I have explored new parts of Xiamen and made friends with a whole new group of people. She’s French and was in China for two years on a work program set-up by the french government. Her program just ended and Saturday night we had a big part at the batting cages to say goodbye. Sniff. Sniff. I said in that original blog post how being an expat means uncertain friends. You never know when your friends will leave so I don’t take any minute with people for granted. I still very much follow that way of life and try to take no friendship for granted. But now I need to follow up on that post because what I didn’t mention was the benefits you get from being an expat and having to say so many goodbyes. Your friends might leave China but they go somewhere else in the world and you can visit them! I have not had a holiday in the past 4 years where I didn’t know at least ONE person. When I went to Japan I stayed with a Singaporean friend and had 2 Japanese friends to visit, When I went to Thailand, my Mexican friend let me crash with her, and when I travel in almost every city and small village in China there is always some former friend for me to visit. And Europe was no different. I may have lamented Anite leaving three years ago on this blog, but I’m sure glad she did because it meant we could hang out in Paris this summer. Anite and I in Xiamen 2015. Anite and I in Paris 2018! And it wasn’t just Anite that I could visit, but my friend Adam too! Adam is another Frenchman I met about four years ago in Xiamen. He still lives in China (though moved to a different city) and his hometown in France is in a small southern village. But he happened to be in Paris with his wife and their daughter and we were all able to meet up. 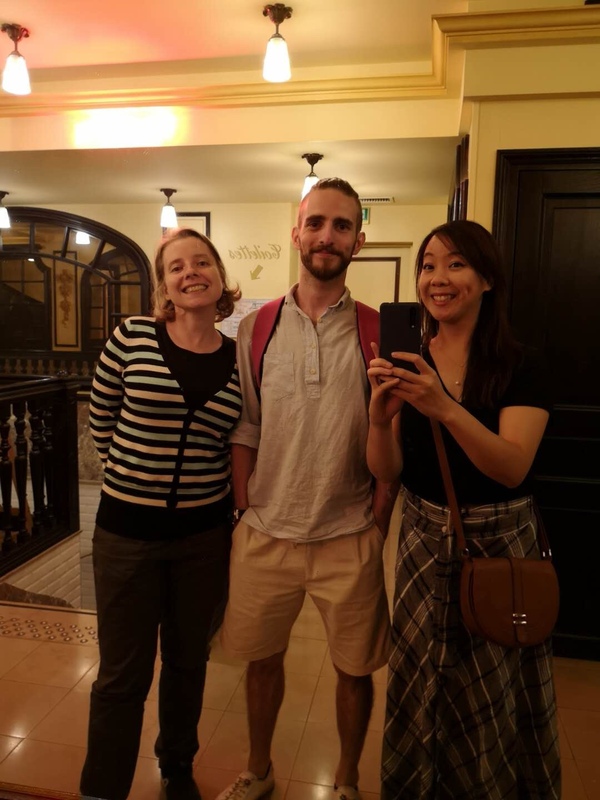 This small group of Xiamen friends from three years ago got to meet up in a 100-year old Parisian restaurant! How crazy is life?! Me, Adam and Anite taking silly selfies at Bouillon Chartier, a famous historic restaurant. We haven’t been together in more than three years, yet fate put us all in the same place at the same time. Could not agree more! Being an expat may mean a lot more goodbyes that the average person, but it also means a lot more friends in all corners of the world. I’m so happy being an expat and having these random encounters in far flung cities. It makes the world seem so much more friendlier and welcoming.